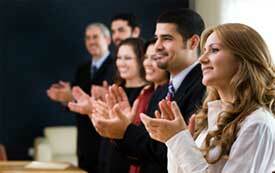 Services: Your Conference Solution: Event and Conference Solutions for Meeting and Event Planners. Summit Event Manager is perfect for small workshops and dinners to large conferences involving tradeshows, travel and accommodation. Contact us for more information about this software or ask us about our event management services. We provide online registration that work effortless with the Summit Event Manager. Online registration forms can include full or single day registrations, social events, hotel and travel details and sessions. Delegates can register groups or individuals. Credit card process is available through our payment gateway. We use Moneris to process payments and our system is completely secure, following credit card security and privacy standards. Many clients need short term hosting and don't want to enter into a long term contract. We can provide short-term month-to-month hosting for your event website. Site hosting starts as low as $10.95 / per month and provides ample storage and data traffic limits. We've been providing conference websites to Meeting Planners for over 10 years. Our designs can be as simple or complex as you desire. If you have a design already we can work with your designer to bring your concept to life. Please see our Portfolio for some ideas.